Payday New Look Wishlist! cowbiscuits | UK Lifestyle, Style and Beauty Blog. : Payday New Look Wishlist! Oh wow- how have those moccasins passed me by thus far? Love, love, love. 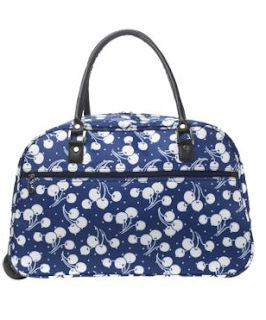 Tell me about payday- mine's tomorrow and I've already ordered loads online! Feels like forever since money was last in my account! love those shoes! I can't wait for friday either, can't believe I haven't been paid since before christmas!! I also have a love-hate relationship with New Look. Seriously, I don't know any store I can go from hating - to loving - back to hating. They get it so right sometimes. 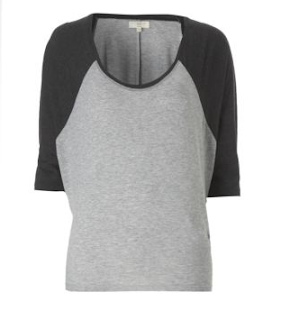 Particularly love the slouchy contrast top and holdall. I wonder if that holdall would work as a plane carry on or still be too big? Love that little crop top, will look ace on you. love the peter pan crop top! 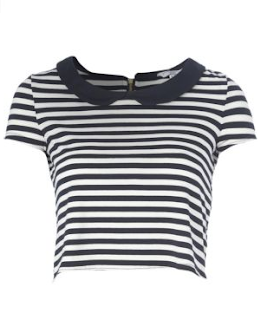 Yay for the stripey crop top! I remember you saying you liked that on my New Look post. I really like the velvet bandeau bra, might have get myself one of those! I know what you mean about New Look. I feel they get it so wrong sometimes yet every once in a while they have amazing pieces! Like that bra! Im so on that in black. I brought some massive 40's style velvet knickers for a pound in Primark. My boyfriend has a heart attack when he saw them but they are gorgeous! Now I have found a bra to match! The striped crop top is a beaut! love the velvet bra!!... only 3 quid??... awesome!! 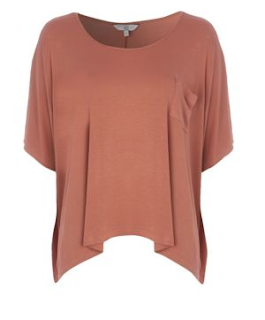 I think everyone love/hates New Look haha, I love this list I got a bat winged top just like this one from Miss Selfridge which I love I'm a bit addicted to bat wing at the moment haha. The leopard detail on the pumps is awesome! Love the suitcase, and the wee shoes! I have the same relationship with new look. I am confined to the tall section, but they have some pretty cool stuff at the moment! These are calling to me! There's a cute tweed blazer I quite fancy too! I am a major new look geek, I have so much stuff from the place. I have those mocassins in red. I find them a bit uncomfortable where the two sections of material are stitched at the side of your feet, although I haven't worn them yet so I'm guessing it will disappear once they're "worn in"
I really like the colour of that oversized batwing top, gorgeous! And those shoes are just amazing. New Look is somewhere I always forget about but next time I'm passing by one, I will definitely need to go and have a look! I think I'm a little bit of a New Look whore; every other hanger in my wardrobe is a New Look one! There's always something I'm eyeing up from there! really, really want that bra! loving New Look at the moment, I can't stop buying things haha. 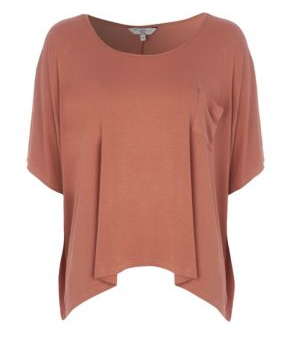 Oooh I love that oversized top, I'm really loving all the rust coloured items out at the moment yet I don't think I have anything in those tones!! The bra is also amaze, anything velvety gets my vote! What a lovely blog you have here! Such great pictures and inspiration! Thanks for sharing dear, and keep it up! aw wow love that velvet bra and its purse friendly ! That is so crazy that you only get paid once a month, is that what its like in the UK for everyone or? In australia we get paid once a week or fortnight. Anyway, I love the topshop peter pan top.